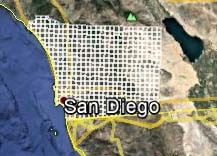 Users of Google Earth can apply an overlay of the San Diego Natural History Museum Atlas Grid. This is the grid dividing the county into nearly 500 squares that has been used for both the Bird Atlas and Plant Atlas to localize species. At the bottom of this page is a link to download the Atlas Grid. The Plant Atlas overlay provides flower icon placed in each grid that when clicked on will present a list of plants that have been found and collected in that grid square. These downloads are in the form of files (.kml or .kmz file types) that will open in Google Earth and add the graphical imagery to the globe. To use these files you must have Google Earth installed on your computer. You can download if from HERE. When you apply the Atlas Grid to Google Earth, clicking in any grid will bring up a marker showing the identity of the particular square. The Grid is numbered from 1 through 29 in longitude and A through W in latitude. When you add the Plant Atlas marker icons you will then have a flower icon in each grid square. Clicking one of the flower icons will open your web browser and open a page in the Plant Atlas web site that will provide a list of the plants found in that grid square. 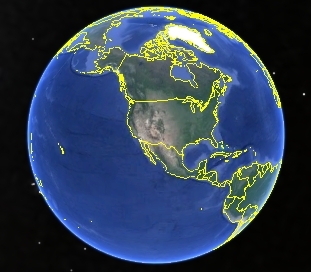 Important: To assure that links from Google Earth open in your browser (e.g. Chrome, Internet Explorer), you must set Google Earth options to do this. In Google Earth: Open the Tools menu. Select Options. Select the General tab. Check the box for Show web results in external browser. 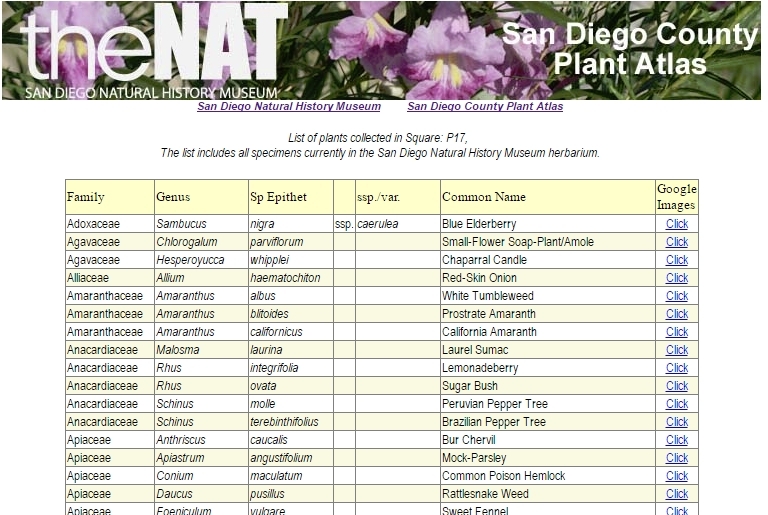 The list of plants that will show in your browser is shown here. The scientific and common names are listed, and a link to Google images of the plants is included. Use the links below to download the Google Earth files required for this tool.